Authentic Mid-Century style building materials and DIY kits for your home. 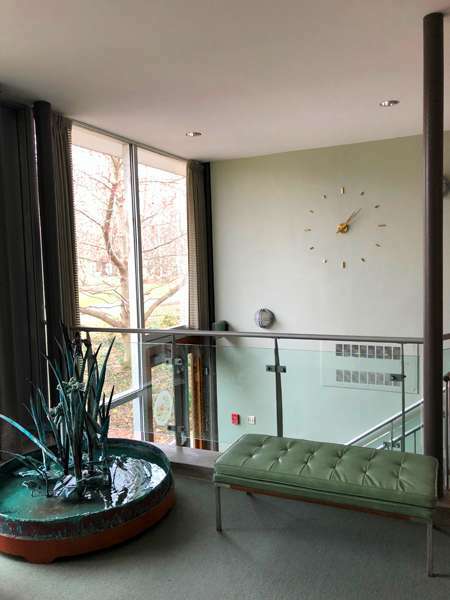 I had the pleasure of joining the Webster Groves Women's Garden Association on a tour of the National Garden Club's headquarters, a beautiful mid-century building by Frederick Dunn and Nolan Stinson from 1958. The National Garden Club is an affiliation of the garden clubs of all 50 states along with over 300 international garden club affiliations. Founded in 1929, the headquarters for the organization is in St. Louis. Frederick Dunn was a graduate of the Yale School of Architecture and Nolan Stinson from Washington University School of Architecture. They practiced together from 1952-1962. 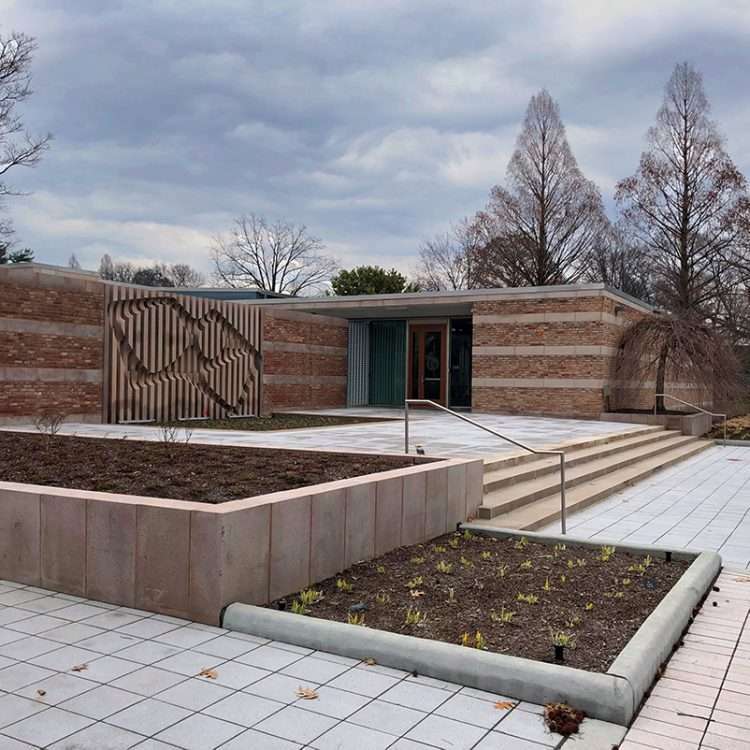 The two designed and built the national headquarters on a large plot of land adjacent to the Missouri Botanical Garden (Shaw's Garden). The low slung, modern building is intentionally full of glass providing views onto the landscaped grounds which are inaccessible to the general public. 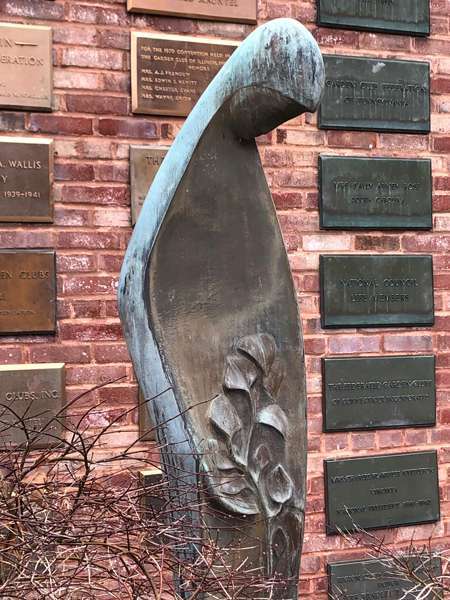 One of the first features you notice upon driving up to the building is the beautiful pink granite wall sculpture by artist William H. M. Talbot. 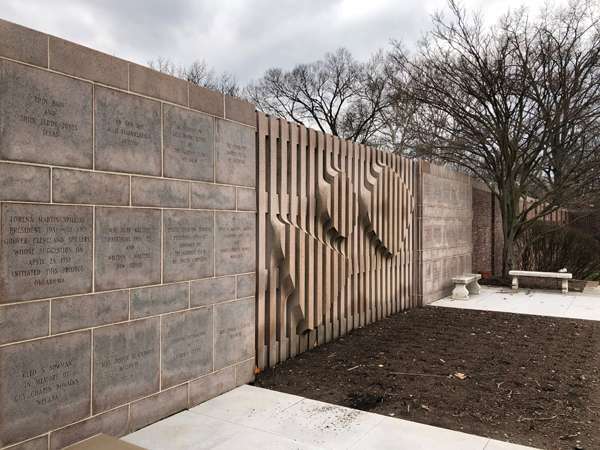 Originally part of a water feature, the wall is now flanked on either side by garden beds. Much of the interior is a juxtaposition between modernist architecture and more traditional designs. 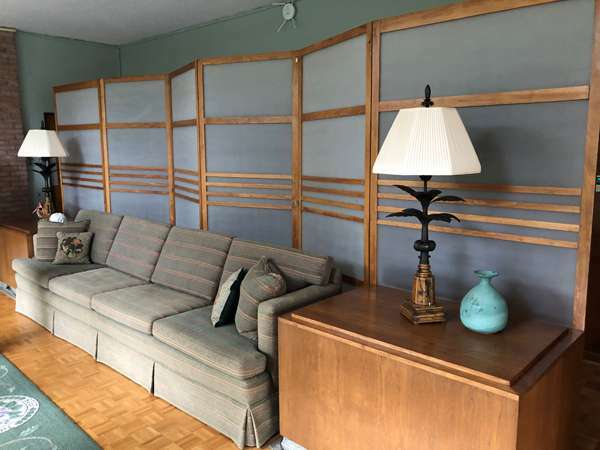 The traditional couch in the entry to the building was custom made to fit between two built-in boxes which house heating and air conditioning ducts. The built-in screen wall behind nods more modern and masks the entry to the bathrooms. The carpet in the halls encompass the state garden club logo designs for all fifty states. 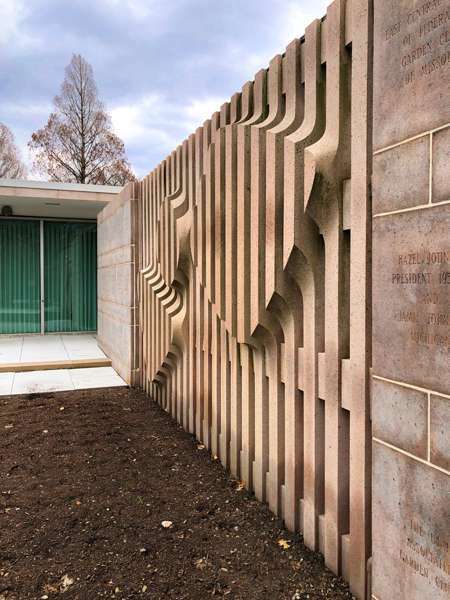 Entry showing Dunn-designed screen wall. The couch and the corridors at the front of the building are wrapped around a serene courtyard. The roofline of the courtyard overhangs the building to highlight a circular opening and sky above. Another view of the courtyard. The main facility on the first floor is the auditorium. Again, the custom rugs are adorned with the flowers of all fifty states. 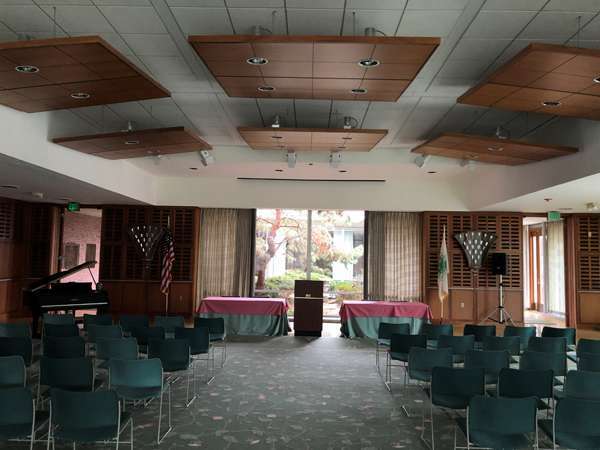 One wall consists of floor to ceiling built-ins which highlight awards and achievements from garden clubs around the country. One wall opens into a view of the courtyard, while the final two walls are full glass with views to the surrounding gardens and landscape. The stairwell to the lower level features a modern aluminum handrail in a stair of beautifully finished terrazzo. The wall showcases a modern clock. 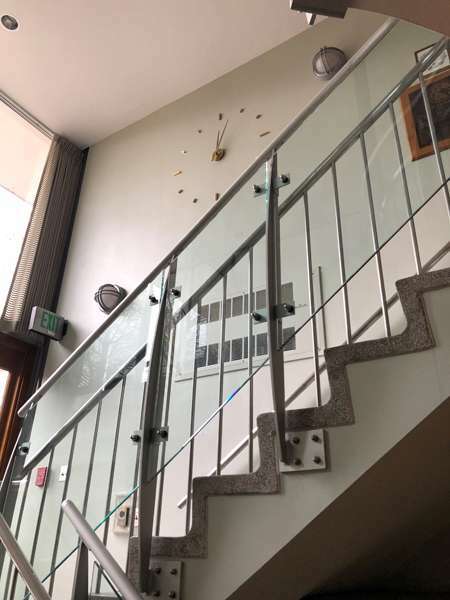 The stairwell was updated very thoughtfully to modern code requirements by adding a 42" guardrail in the same brushed aluminum finish with clear panels that do not obscure the original design. 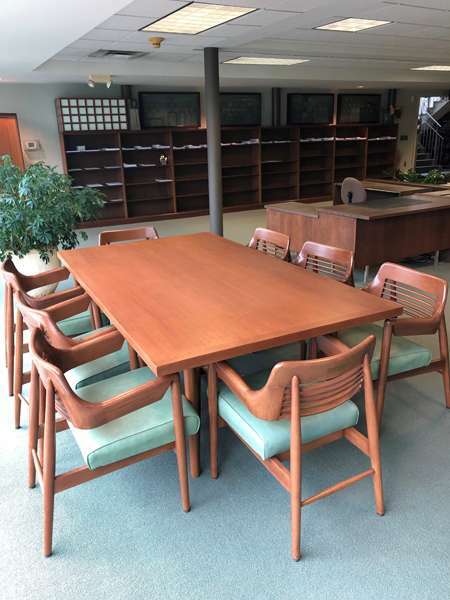 The lower level houses an open office area highlighted by a table and chair set designed by Frederick Dunn. The lower level also contains a meeting room and archives. The walls are decorated with shadowboxes of antique frogs used for flower arrangement. 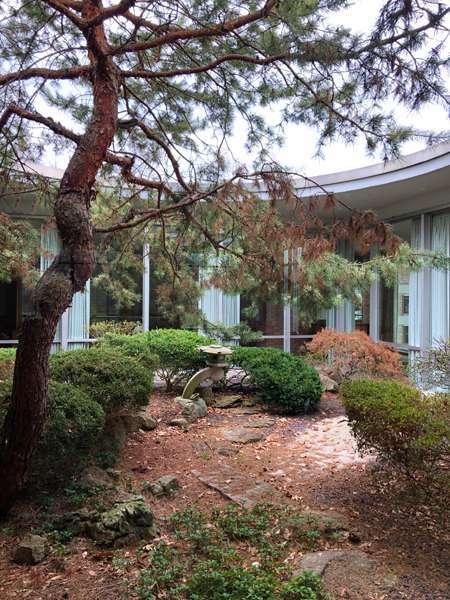 The exterior gardens, as you might imagine for the national headquarters of garden clubs, is beautifully landscaped. 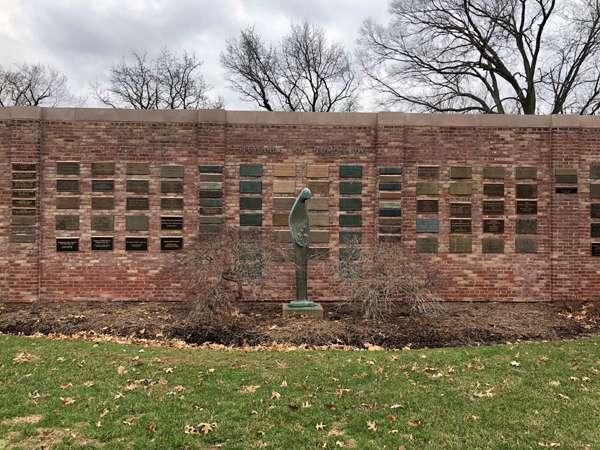 Here you can see the reverse image of the Talbot sculpture wall along with other art and installations of plaques of contributors and members garden associations. 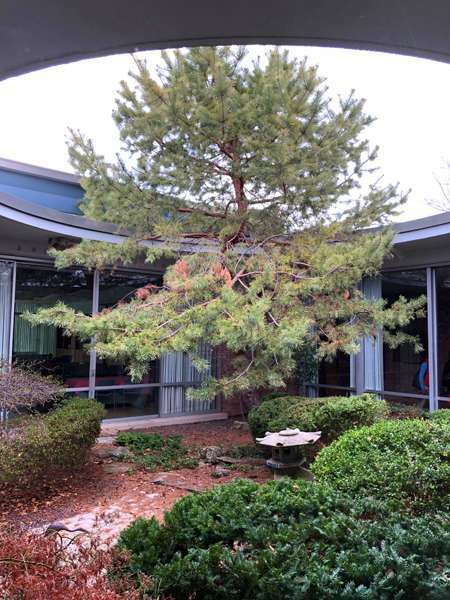 While the property is owned by the National Garden Club, the property abuts the Missouri Botanical Garden and there was a decree that there would be no fences between the two. Talbot scupture wall showing plaques. 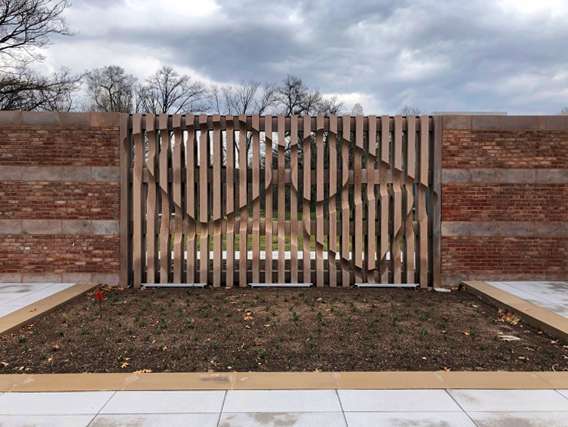 Brick privacy wall with plaques and sculpture. Close up of sculpture wall. Close up of garden scuplture. 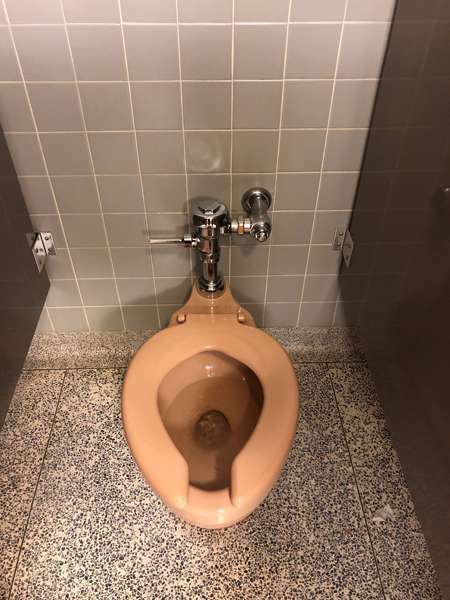 Just for fun, I wanted to show you that the facility still retains its very original bathrooms using 4 1/4" x 4 1/4" gray tiles wall with peachy-pink sink basins in a travertine top and the matching peachy-pink toilets. Awesome! 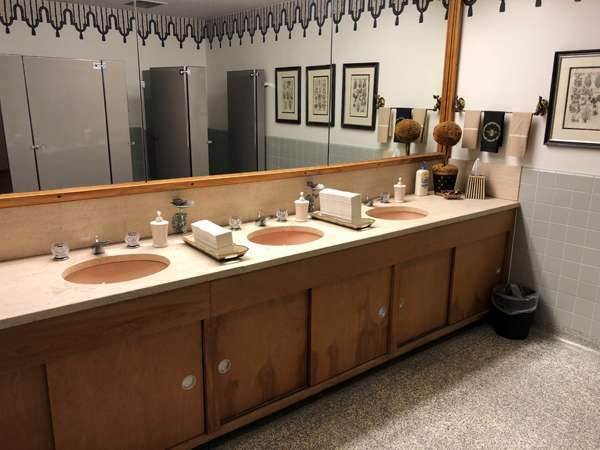 Original women's room sinks and cabinets. Check out that original peachy-pink toilet! 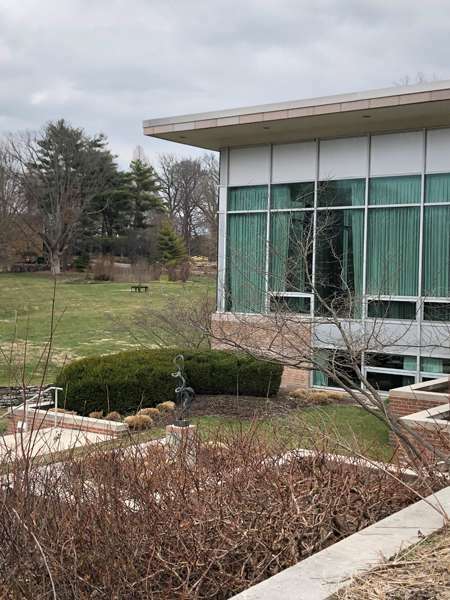 The National Garden Club headquarters is not open to the public, so I thank the Webster Groves Women's Garden Association for allowing me to tag along. I've long admired this building and was thrilled to be able to tour it and to share it with you. The National Garden Club is in need of your support. If you are a gardener or belong to a local garden club, please consider becoming a member, making a donation or shopping their online store to help sustain the National Garden Club. Thank you.